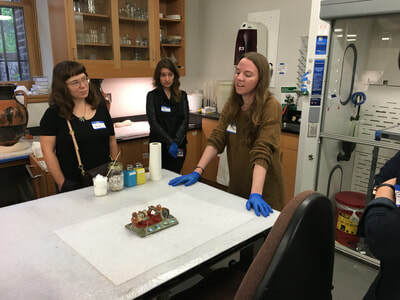 Wednesday, May 16, 2018 – 6 p.m.
PACA members gathered for our 7th Annual General Meeting, a multidisciplinary tip session, and a tour of the Penn Museum Conservation Labs. In the General Meeting, we shared our accomplishments from the last year, elected new board members, and made plans for next year. 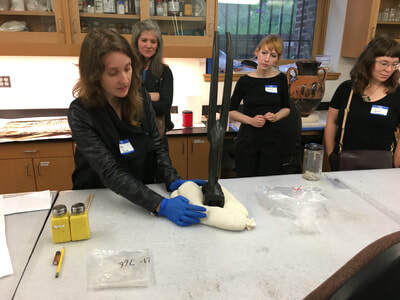 We also enjoyed a hearty reception and traded conservation and preservation tips at the first-ever PACA Tip Session — thanks to those who participated! 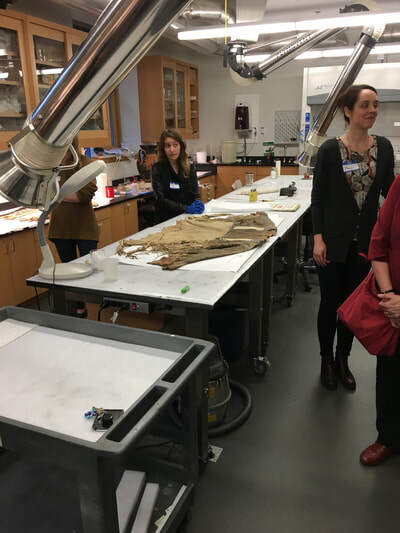 Penn Museum conservators and interns also gave us a guided tour of their lab and ongoing conservation projects.